Google has started testing out a new Android system update distribution system that relies on the Google Play Store and not on the built-in update feature of each device. The most recent Android Q beta update for the Google Pixel is thus available from the Google Play Store, just like a typical app update, as per this reddit discussion. Android uses different update mechanisms for apps and the operating system. While firmware and system updates are shipped to devices through a dedicated update tool implemented (and customized) by each manufacturer, app updates are delivered via the Google Play Store and are managed by Google. 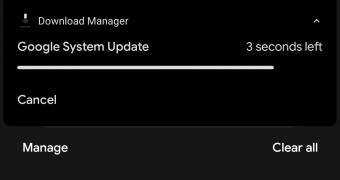 Beginning with this update, and possibly with the stable release of Android Q later in the summer, Android system updates could also make their way to the Google Play Store.